Prime minister Narendra Modi has been awarded the highest civilian award of United Arab Emirates (UAE) -- Zayed Medal, Sheikh Mohamed bin Zayed, the Crown Prince of Abu Dhabi and Deputy Supreme Commander of the Armed Forces announced on Thursday. 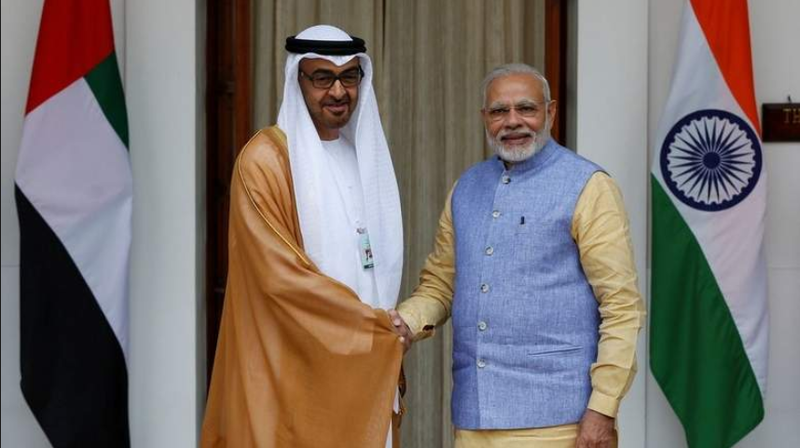 In a tweet, Mohamed bin Zayed said that the Indian PM has been conferred with the award for boosting India-UAE ties. "We have historical and comprehensive strategic ties with India, reinforced by the pivotal role of my dear friend, Prime Minister Narendra Modi, who gave these relations a big boost. In appreciation of his efforts, the UAE President grants him the Zayed Medal," he said. Earlier this year, in a first, UAE invited India as a guest of honor at the organization of Islamic cooperation foreign ministers meet despite reservations from Pakistan.